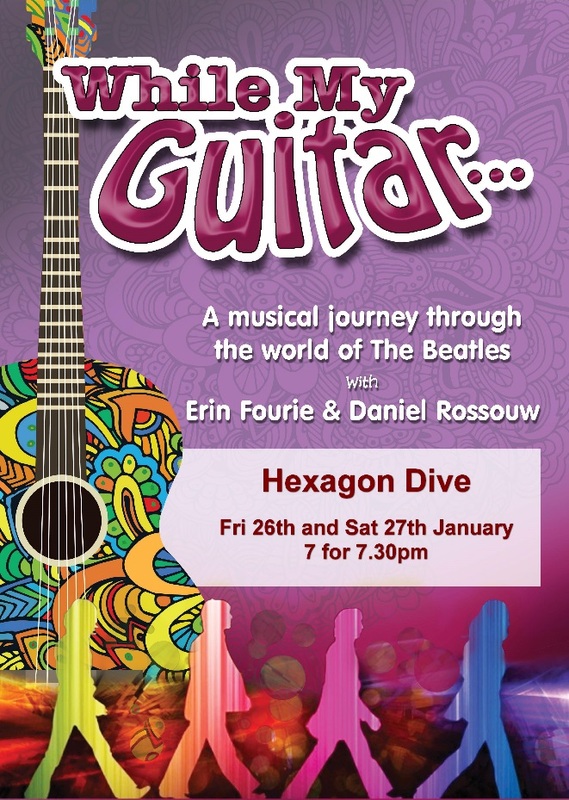 After sold out shows in November, musicians Erin Fourie and Daniel Rossouw are back at the Hexagon Dive in Pietermaritzburg in January to explore the many worlds of The Beatles in this show, performing a range of Beatles' songs, from the famous to the lesser known. Accompanied by guitars, the duo's fresh interpretation of the classic songs is placed within the context of the original era, with interesting snippets of information. This nostalgic yet contemporary view of the world, through the eyes of the songs, leaves a lasting impression of memorable tunes and beautiful vocals. Erin Fourie, a previous Idols finalist, was last seen in All That Jazz, and the Playhouse production of The Sound of Music as Sister Bertha, and Daniel Rossouw is a member of popular group Pan Latino, and both are well known on the KZN music scene. 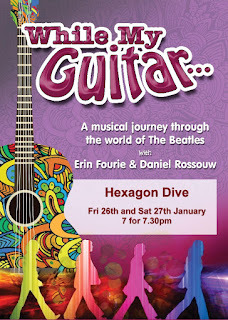 Devised and directed by Peter Mitchell, While My Guitar runs at the Hexagon Dive on the UKZN Pietermaritzburg campus on January 26 and 27, 2018. Performances are at 19h00 for 19h30. Tickets R100. These are picnic evenings – bring your food, but no drinks as there is a cash bar. Tables seat 10, but bookings can be for less.